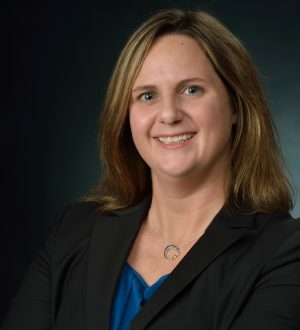 Amanda M. Urbanek is the Deputy Assistant Director for the USDA National Appeals Division’s Southern Region where she supervises a team of between 7 and 16 National Appeals Division Hearing Officers in Arkansas, Louisiana, Mississippi, Tennessee, Alabama, Georgia, South Carolina, North Carolina, Florida, the U.S. Virgin Islands, and Puerto Rico. The National Appeals Division is the administrative appeals agency for the U.S. Department of Agriculture. Their Hearing Officers hear appeals from Farm Service Agency, Risk Management Agency, National Resources Conservation Service, and Rural Development. Amanda‘s responsibilities include reviewing National Appeals Division determinations prior to publication, attending hearings and pre-hearings with the hearing officers she supervises, monitoring legislation for changes to programs administered by the agencies subject to appeal, establishing and maintaining professional relationships with stakeholders, and conducting nationwide outreach efforts on behalf of the National Appeals Division. Prior to joining the National Appeals Division, Amanda was a partner with the law firm of Daniel, Coker, Horton & Bell, P.A. Her practice included insurance defense, coverage, and litigation; business and commercial litigation; tax, business, and estate planning; real estate and property law; contract drafting and negotiation; and administrative law. While with Daniel Coker, Amanda authored Application of Attorney-Client Privilege Among Related Corporations, Business Litigation Update, ALFA International Business Litigation Practice Group, Vol. 2008, Issue 1. In addition she gave several presentations on varied aspects of estate planning. Amanda served as President of the Tri-County Bar Association from 2009-2010. During her tenure, she spearheaded the Mississippi Bar Association’s Wills for Heroes project. Through Wills for Heroes, she and other Lafayette County attorneys helped draft approximately 100 wills and durable powers of attorney for Lafayette County, City of Oxford, and University first responders. Amanda lives in Oxford, Mississippi, with her husband and three children.